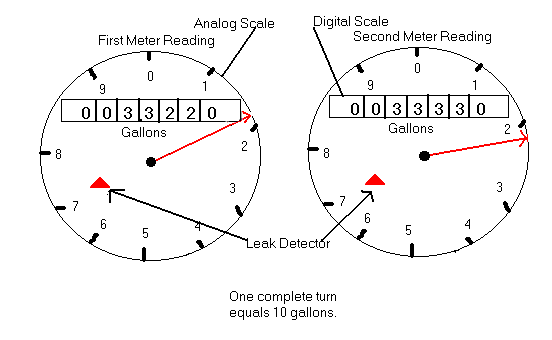 Residential water meters usually have 7 digits, and the last one is a stationary zero (0). will read 120 on the digital scale and the red needle will be pointing to 0 on the analog scale. *Note: If red dial turns when you have all water turned off - you have a leak. *If red diamond shaped leak detector is turning when you have all water turned off - you have a leak.